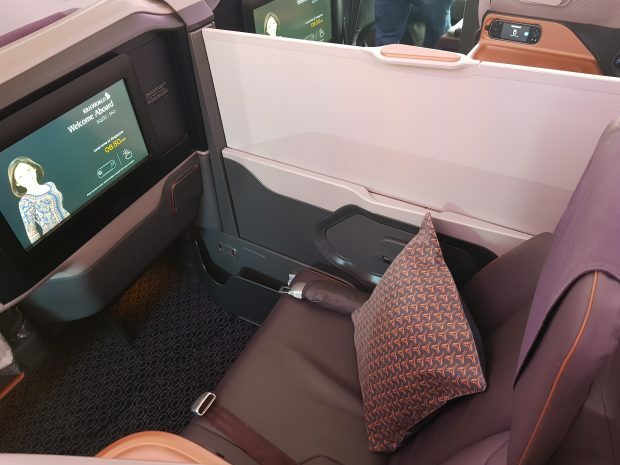 Travel Daily flew with Singapore Airlines to Singapore recently aboard their A380-800 aircraft featuring the all new business class service. For those that have yet to experience this service or for those in the travel agent community that haven’t sold it to your customers yet, have every confidence this service exceeds expectations. 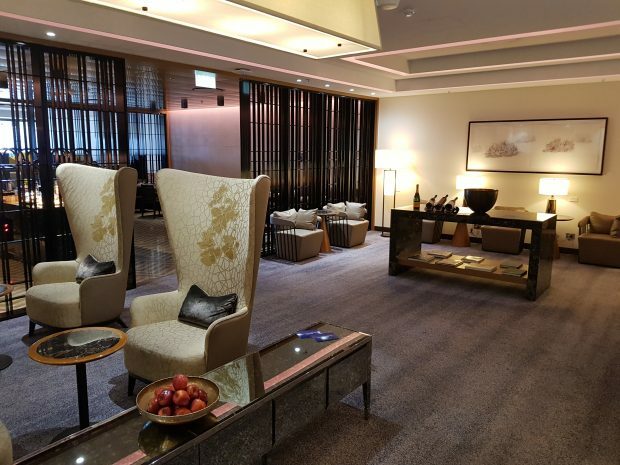 But first, the experience starts before you board the aircraft when checking in early and spending some time in the SilverKris Lounge. 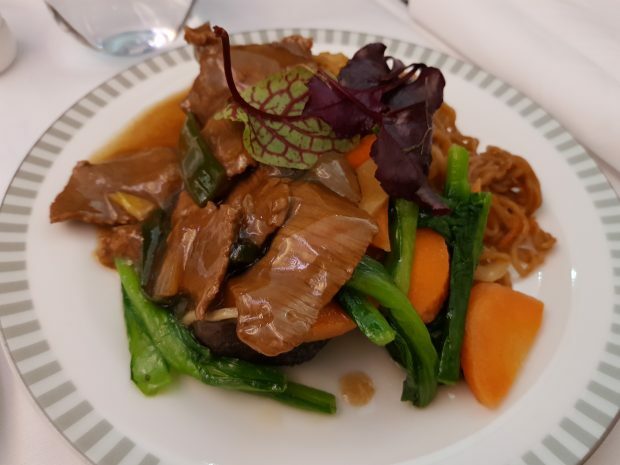 Overlooking the tarmac at Sydney’s Kingsford Smith airport, the lounge is quiet, has facilities to accommodate those that need to get some work in prior to embarkation as well as having a modest range of food that can be made to order. The chicken satay sticks and duck pancake rolls are restaurant quality and absolutely delicious. WiFi provided seamless internet connectivity and staff were all too happy to bring you beverages of your choice. A quick shower ahead of the flight freshens you up before a short walk to the gate. 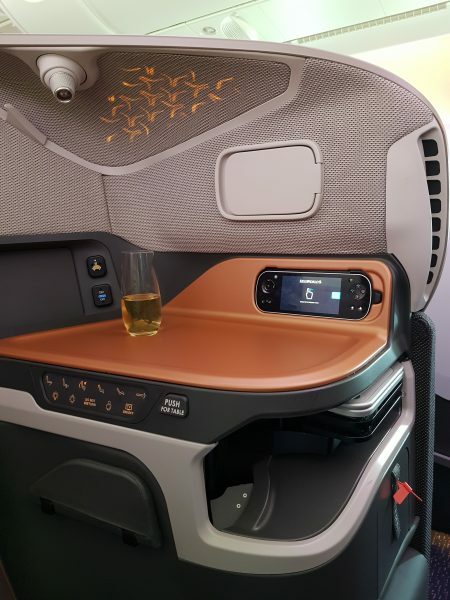 The A380-800 features 86 flat bed seats with 180 degree recline all on the upper deck. Our seat was 94D with an extendable privacy screen to separate the seat from your neighbour. However if you’re travelling as a couple, then the privacy screen can be lowered completely and the pair of seats become in effect a double bed. The seat pitch is 81 inches with a 30 inch width and what this translates to is an abundance of room. Ours was a day time flight so there was no need to get any sleep, however for those that wanted to bedding is provided and the seat reclines entirely via the push of a button. Staff are on hand to help make the bed should you choose. Via the KrisWorld entertainment system, there are so many options to select from. Many films are modern releases as well as classics. In fact there’s around 1800 entertainment options to choose from spanning movies, music, news, documentaries and games. 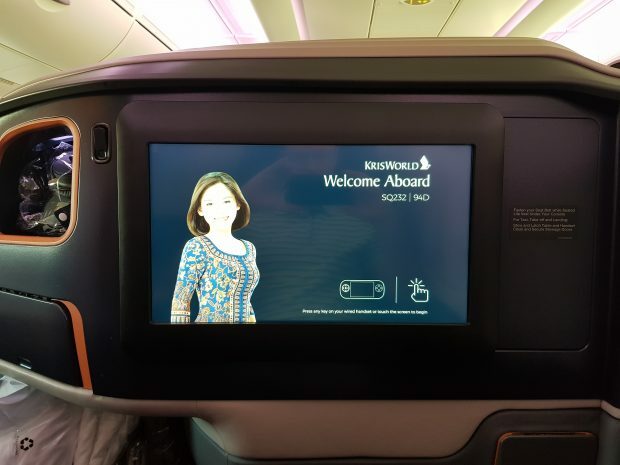 A flight from Sydney to Singapore can easily accommodate three movies. Noise cancelling headsets are provided to ensure an enhanced listening experience. Speak with the Singapore Tourism Board and they’ll say that more and more Australians travel to Singapore for luxury dining experiences. Well, if there national carrier is anything to go by then guests won’t be disappointed. Our selection for this flight was an appetizer of prosciutto with melon, green olives and lemon dressing. Our main was wok fried sliced lamb in garlic ginger sauce and for dessert it was the salty pistachio praline ice cream. The food really is a destination in itself. For those that enjoy their wines, a team of three wine connoisseurs sniff, sip and select from around 1000 wines each season and choose only the best. Our preferred drop discreetly perched in the above photo was a Charles Heidsieck Brut Reserve from the Champagne region in the north of France. It was tasty and freshened the palette so a couple of glasses were harmed in the writing of this blog. The verdict – there was only one complaint, the eight hour flight was too short. This is the type of service and product that raises the bar in business class. You really don’t want to disembark. 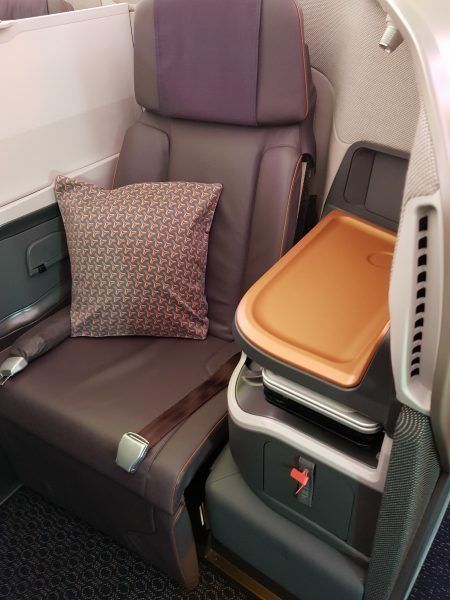 Couple the roominess of the seat, the facilities available for business or pleasure together with the world renown service of Singapore Airlines staff and you’d be hard pressed to fine a better alternative.